Women have been organizing since cave-dwellers first gathered around fire (and surely, even before then). Our current era, though, finds women making modern history by uniting with a renewed and palpable urgency. While this trend may be too young to be measurable, it’s undeniable. In the wine business, it has materialized in a surge of activity among professional women’s organizations. Such associations vary: Each may be shaped by factors such as cultural and gender norms, geography, natural disasters or economic climate. A woman making wine in Chile, for example, faces vastly different challenges than her counterpart in Germany. Still, there remains common ground worth exploring. What motivates these women to organize? What objectives comprise their agendas? Importantly, what might be an appropriate response by the wider, largely male-dominated wine industry? To help answer these questions, we’ve taken a few snapshots: three countries, three women, three perspectives. The testimonies here are not meant to reflect any comprehensive or definitive picture, but to instead offer a glimpse. Thanks to these women for offering a view of their journey. 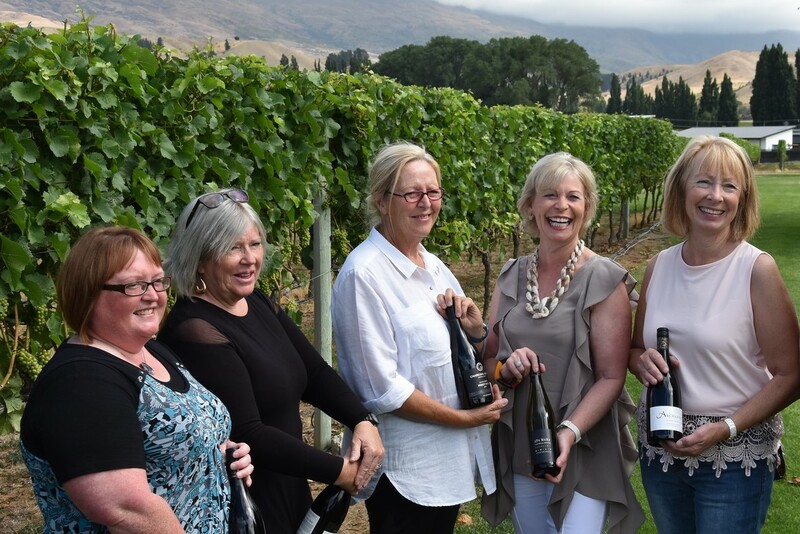 Janiene Bayliss is the founder of Women in Wine in the Central Otago region of New Zealand. Though 46% of the industry’s workforce is female, when this group launched in January 2018, it was the first of its kind in the country. While still in its early stages, the group plans a range of initiatives and professional support. Bayliss owns and operates Ata Mara Vineyard, a producer of Pinot Noir in Cromwell, near Mount Pisa. What are some of the challenges of working in wine as a woman in your country? In our region, isolation is the biggest challenge. We are remote from any city or large town. We are also remote from each other, and with such busy lives in the vineyards that the time taken to connect with each other is often lost. That results in lack of a supportive network, local knowledge and support, and the ability to share information. How might your group help alleviate some of those challenges? We want to give women a voice in this industry, to ensure that voice is heard, to see that our priorities are considered. This group gives a focal point for people to make contact with us and bring new ideas to our region. We want the trade to be able to come and interact with us in a variety of ways. We will give members across our large region a voice on a range of topics that affect them in their business and daily lives. What effect, if any, does your group's work have on policy—whether within the wine industry or as relates to broader laws and culture? We look at what affects our industry at a local level and the regional policies that affect our businesses, from licensing laws to signage to dealing with adversity. We expect to be at the heart of what matters to our industry in our region. Often, we hear that there should not be a need to have such a group in this day and age. The sad reality is that women have been losing their voice about the things that matter most to them [which are] often different from what matters to men. Its purpose is not anti-male; it's pro-women. [We want to ensure] that there are no barriers to women’s development in this industry. "Often, we hear that there should not be a need to have such a group in this day and age. The sad reality is that women have been losing their voice about the things that matter most to them [which are] often different from what matters to men. Its purpose is not anti-male; it's pro-women." Donatella Cinelli Colombini is the president of Le Donne del Vino, an association comprised by nearly 750 wine professionals including winemakers, winegrowers, restaurateurs, shop owners and journalists. 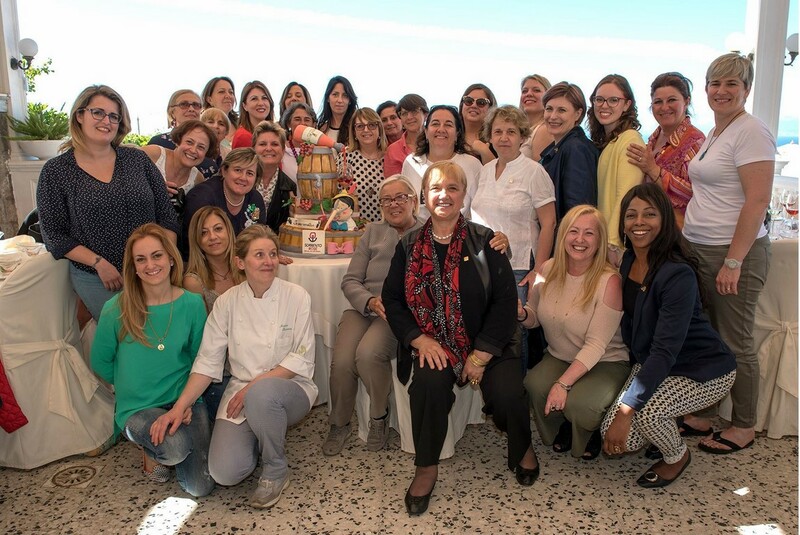 With delegates representing each of the country’s wine regions, and elected officers, Le Donne del Vino is widely considered one of the world’s most thoroughly developed organizations for women in wine. Also an award-winning producer of Brunello di Montalcino, Donatella created the first Italian winery with an all-female staff. What are some of the challenges of working in wine as a woman in your country? What are some of the advantages? Italian women now run 28% of the country’s wineries and vineyards, playing a leading role in the new wine marketing sector. They have a natural talent for storytelling, which becomes an advantage when it comes to communication and marketing. We’re doing our best to transform [this] into a competitive edge for women working in the commercial wine world. This year, we’ve organized wine marketing training courses, which are absolutely revolutionary in Italy. Our courses are enhancing women’s potential. We are busy promoting the role of women in society and in the workplace, but also developing their natural skills and creating new opportunities thanks to our network of contacts. We help create synergies between women working in the wine sector, encouraging shared projects, educational trips and training. In addition to courses, in May we’ll be launching the Future project, giving young women under 30 the chance to approach and work for the companies owned by our members, gaining experience. Our association follows no political ideology, but we give voice to women working in the wine industry within the institutions. As well as wine marketing courses, we also have plans for courses aimed at working with these institutions, the Wine Consortia, which protect the Italian appellations and promote them abroad. These courses will encourage the presence of more women on the boards of the Consortia, where they currently account for 10% of board members while, as I said, they run 28% of the country’s cellars. What changes would you like to see within the wine industry for women? We’d like to see an increased presence of women on the boards of the Wine Consortia, and work to aid the expansion of innovation. We’d like to extend the network of opportunities and contracts to wine women all over the world. We are working on it. "They have a natural talent for storytelling, which becomes an advantage when it comes to communication and marketing. We’re doing our best to transform [this] into a competitive edge for women working in the commercial wine world." 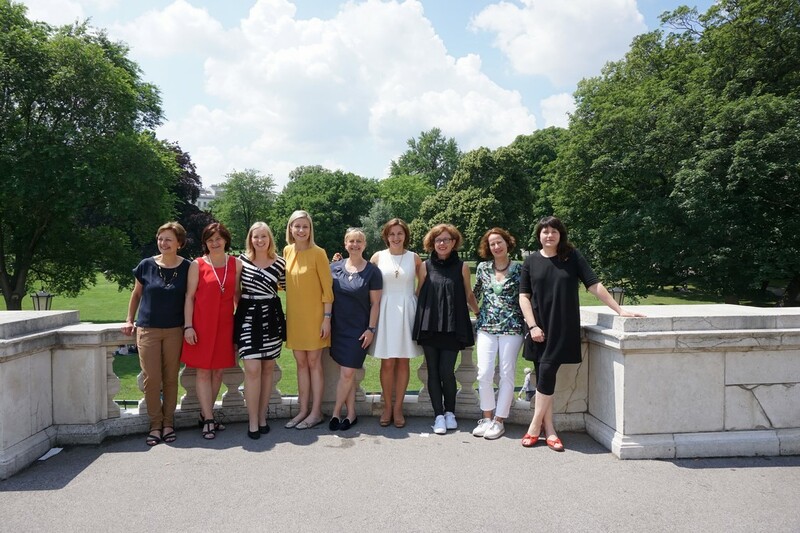 Heidi Schröck heads up 11 frauen und ihre weine, which translates as simply “11 women and their wines.” In spring of 2000, 11 women united to form the group with the mission of highlighting that some of the leading wineries in Austria were led by women. As for Schröck’s own winemaking endeavors, she took over her family vineyards in 1983. The operation covers nearly 25 acres (10 hectares) in Rust, located in the Burgenland region of Austria. It used to be challenging in the old days, when only men were working in the industry. I myself started in the early 80s, when women were working in the second row of the wineries. Now it has changed a lot and maybe the group of 11 women were role-modeling for many of the young women who now go to wine schools and universities. I think we overcame the “paradise bird” status. What effect, if any, does 11 frauen und ihre weine's work have on policy—whether within the wine industry or as relates to broader laws and culture? The work of the group made women in the wine world more present. One member, Ilse Maier, wrote the first book on bioorganic viticulture. Many of our wines regularly win contests and medals. For me, the whole trip is going into the right direction. But … we never should stop talking about it. For me personally, it always has been enormously important to stay in contact with many other wine women all over the world. Networking and helping each other is vital. "We never should stop talking about it. For me personally, it always has been enormously important to stay in contact with many other wine women all over the world. Networking and helping each other is vital." Amy Bess Cook has been a working writer for more than 15 years. For half that time, she managed a boutique winery. With a zeal for creative entrepreneurship and a passion for the vine, Amy Bess recently founded Woman-Owned Wineries to help elevate her female colleagues. She lives in Northern California.